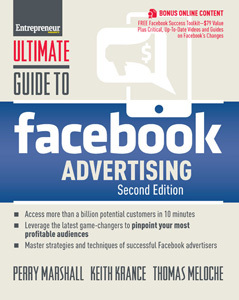 Photography Facebook Ads Effective Tools For Marketing? Are Photography Facebook Ads An Effective Marketing Strategy For Professional Photographers? Today, I want to chat about using paid advertising — and photography Facebook ads in particular. This is a big topic, so I won’t get into all the technical details in this article, but I do want to help you decide if they are an effective strategy for you to marketing yourself as a professional photographer. I also want to dispel some of the myths about using photography Facebook ads to advertise your business because there’s a lot of confusion out there about whether or not to invest in advertising, or if it even works at all. One thing that prompted me to put this together is there seems to be an awful lot of photographers out there who are struggling with this topic, especially when so many other photographers are telling them not to because they themselves are under the impression that Facebook ads don’t work. As you’ll see, this isn’t necessarily an accurate picture of Facebook advertising, and I hope this will give you some food for thought and help bring some clarity to this topic for you. Do Photography Facebook Ads Work? Are Photography Facebook Ads An Effective Marketing Strategy? One thing that amazes me is, every week, I come across questions like, “how effective is Facebook advertising?” and then I see an almost immediate torrent of replies from other photographers telling them not to bother, that it’s a waste of time and money, or they’ve tried it for themselves in the past but saw no return on their investment. From the sound of things, you might be forgiven for thinking that Facebook are running some kind of elaborate money-making scheme designed to fleece everyone they can with ads that will never work, but clearly that’s not actually the case. With over 1 million small to medium-sized businesses making use of advertising on Facebook, and about 9% of all money spent on digital advertising going on Facebook ads, it’s obvious that it either works or there’s an awful lot of very gullible and rather dim-witted business owners out there. Personally, I would rather not believe that business owners like yourself are easily fooled by such things, so what’s going on here? Working on the assumption that most business owners are of above-average intelligence and not prone to wasting money over the long-term on strategies and tactics that don’t work, it’s probably fair to say that photography Facebook ads do work and perhaps you simply need to better understand it before jumping in with both feet, or making false assumptions and avoiding it altogether. Why Do You Need To Advertise At All? A great question, since many of us have at least some expectation that Facebook have some responsibility to show our page updates to our fans. After all, those people told Facebook they “like” our page, so it should be safe to assume that they’ll want to see what you have to say, right? Of course, Facebook has always been free. It costs nothing to have a personal profile or a business page, and you can post as much as you want to. But with over a billion active users, each of whom has an average of about 350 friends and about 40 page likes, this can create a real content headache for Facebook. I’m sure these stats will be quite outdated very soon, but you get the idea—there’s a TON of content created every day on Facebook and that could very easily translate into a crazy-looking news feed if you were presented with everything that all of your friends or the pages you like actually posted, liked, or commented on. If there were no controls in place to somehow throttle back all that content, the news feed would be unusable. So, it’s simply not practical for Facebook to show us everything going on in our social circle, and they have to choose what to show. They do that with an insanely complicated system they call EdgeRank. I’ll spare all the technical details, but its job is to sort out and present us with the most relevant news feed items at any given time. And that leads us to the often frustrating problem photographers are facing with their business pages, which is that only about 4% of the people who like your pages will actually see any given update or piece of content you post. Can You Game The Facebook System? This has led to all kinds of crazy nonsense that’s almost reminiscent of the spammy SEO strategies we still see, but wish we didn’t, in the constant quest to rank websites at the top of Google. Of course, Facebook has the perfect answer for all this in the form of paid advertising. But, after years of riding on the free Facebook bus, photographers seem reluctant to pay for ads in order to do something that’s historically been free. Understandable in one sense, but business is business, and we need to treat our businesses as such by investing in our marketing, rather than relying solely on whatever happens to be free all the time. So intent are people on avoiding paying for ads, the Internet has become littered with articles on how to get your posts seen by more people, and much of that only works a little or for some, and isn’t really all that useful or practical, so we might as well accept the fact that we live in a pay-to-play world now with Facebook. It’s a similar story over in the search engine optimization part of the marketing kingdom. Over there, every content creator (and, yes, that includes us) seems to feel a sense of entitlement and think that their web pages and blog posts somehow deserve to be ranked highly in Google for no other reason than we took the trouble to create it. Of course, Google is not our mom, and it has no obligation to be proud of every little thing we do by pinning our latest efforts to the worldwide refrigerator that is the world of Internet search engines. Yet people still try to game the system. But the truth is, it takes great, high-quality material to rank on Google—stuff that real people will actually like or find useful and entertaining—not thinly-disguised junk full of keywords. Facebook is very similar, in that good and engaging content wins the day, but there is no gaming their EdgeRank system, sorry. 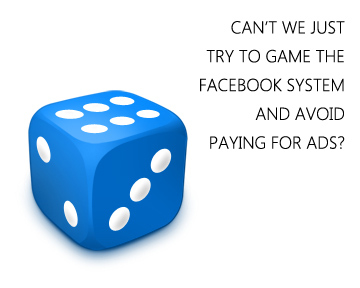 As I said, Facebook is now a pay-to-play world so we might as well get over it and learn the rules of the game. Which Type Of Photography Facebook Ads Are Right For You? That said, what types of advertising are available to us? Of those, I personally think that advertising for more page likes is the least useful option. All that really accomplishes is a sense of inflated ego over having more fans, but it doesn’t necessarily translate into more clients or sales revenue. There’s also the big chance that the new fans you do get may not be all that valuable to you in the future because they don’t fit the profile of your ideal client. I believe organic page growth is far more preferable, since it’s much better in the long term for you as a photography business owner for someone to like your business page after they’ve already had some kind of positive experience with you. In that case, when someone clicks the “like” button for your page, it means they’re actually engaged with your content and that they really like what you have to offer. By the way, that engagement doesn’t have to be direct or in-person through a photography session, but it can also be through the connection you make with your blog or website. 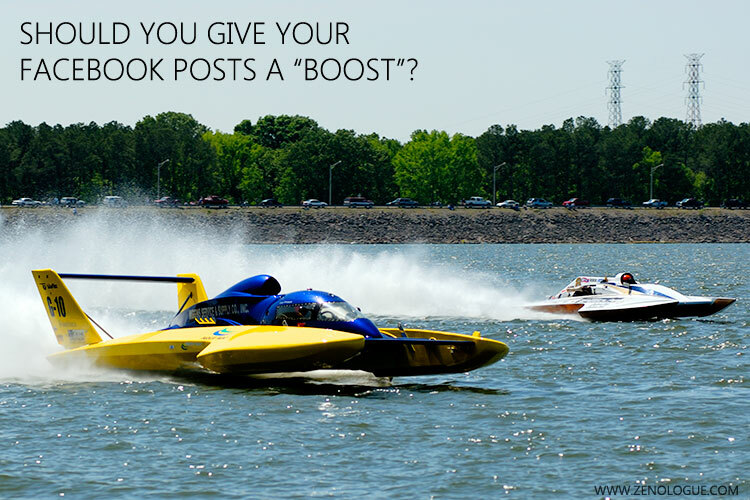 Should you give your Facebook page posts a “boost” with photography Facebook ads? Boosting your existing posts with ads is a good way to get more people to see your page content, and it can work very well, but that doesn’t guarantee great engagement every time you boost a post. 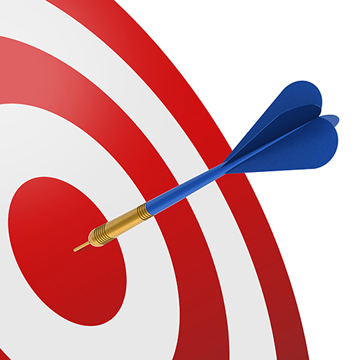 A lot depends heavily on the quality of the posts you’re boosting and who it is you’re targeting with the ads. Post boosting works best when the post concerned links out to an external web page that has a clearly-defined purpose behind it, and so that method has a lot in common with the other type of ad, which is where you send people who click your ads directly to an external website or a landing page. A word of caution here, though. Be careful about boosting posts and make sure you only boost posts that are already enjoying a decent level of user engagement. If you boost posts that are already performing poorly to begin with, you can inadvertently end up reducing the reach of future posts. See Facebook Deliberately Lowers Your Page Reach After You Pay To Boost A Post. Fact or Fiction? for more details on how this happens and what to do if it does. Given the choices, my personal preference for Facebook ads is the third option—the sponsored post that directs people to a landing page on your website where they can take some form of action that brings them a step closer to becoming a client. But why not simply boost an existing post? Why go to the trouble of creating a post just for an ad? There are several reasons, really, but it’s mostly because a sponsored post can be crafted specifically for the purpose of an ad. The image I would choose for a sponsored post ad may not be the same as the one on a regular post that I might boost, for example. In some cases, the sponsored post image needs to be different because the regular post image is not in line with Facebook’s guidelines or may have too much text on it. Why Do So Many Photography Facebook Ads Fail? What is it, exactly, that causes so many people to declare Facebook advertising as a total bust? For example, one photographer recently announced in one of the groups I belong to that Facebook ads absolutely don’t work and he urged everyone to forget the idea or else risk losing a load of money. This, he said, was based on his own personal experience of running ads that failed to generate so much as a single paying client but cost him hundreds of wasted dollars. It’s always hard to argue with experience and, sadly, a lot of the photographers who saw that post probably believe every word of it, and will be less likely to try running ads to see for themselves, which is a real shame. I know it’s no fun paying for ads that don’t appear to deliver the results you want, and it can be very frustrating, but is it really more likely to be Facebook’s fault or the advertiser and their ad campaigns? 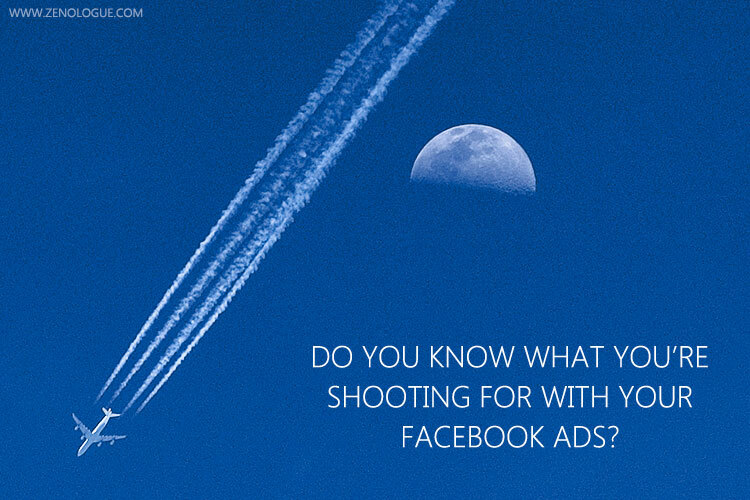 Do you know what you’re shooting for with your Photography Facebook ads? In the end, it comes down to who the ads are targeted at, the destination of the ad (whether that’s a landing page, a website, or a FB page), and how effective the destination page is at converting those people into leads or getting them to do what you want them to do. This is essentially what Facebook marketing expert Jon Loomer also says in his great article It May Be Time for You to Quit Marketing on Facebook. In reality, I believe photography Facebook ads that send people to your website are pretty much doomed to failure unless the ads don’t send people to a landing page that’s dedicated to that specific ad and has already been shown to convert well. In other words, you can send all the ad traffic you like at a badly-designed page, but it won’t convert any better than it did before. This is where the vast majority of photographers run into problems. Because they don’t fully understand how to create an effective landing page, and they don’t know how to write marketing copy that’s persuasive and will spur people into action, the pages they send ad traffic to simply don’t work. Let’s consider an analogy we can all relate to. Take your car, for example. So, you do that, but it still won’t start. Do you then come to the conclusion that “gas” doesn’t work? Of course not. There are plenty of people happily driving around proving that gas does work! Photography Facebook ads are a bit like the gas in that example. Our landing pages may not generate leads or sales because there is something fundamentally broken to begin with not because the ad we used to send someone to the page doesn’t work. In fact, the ad worked just fine, right? Someone saw it, was interested in what it had to say, and clicked on it—that’s all the work your photography Facebook ads have to do, really, nothing more. But, because most people don’t fully understand the marketing principles behind effective landing pages, all they can find or think of to blame are the ads they used to send people there. In that sense, yes, sending people to a poorly-designed page or a page that hasn’t already been shown to convert well is a waste of money, unless you’re using the ads as a way to test a new page to see how well it works—something that expert marketers do all the time. On the flip side of things, several of the photographers I coach are happily using ads with good results. I have one, for example, who makes 6 figure sales with boudoir photography purely from FB ads and a highly-effective landing page. The best photography Facebook ads direct people to a landing page. 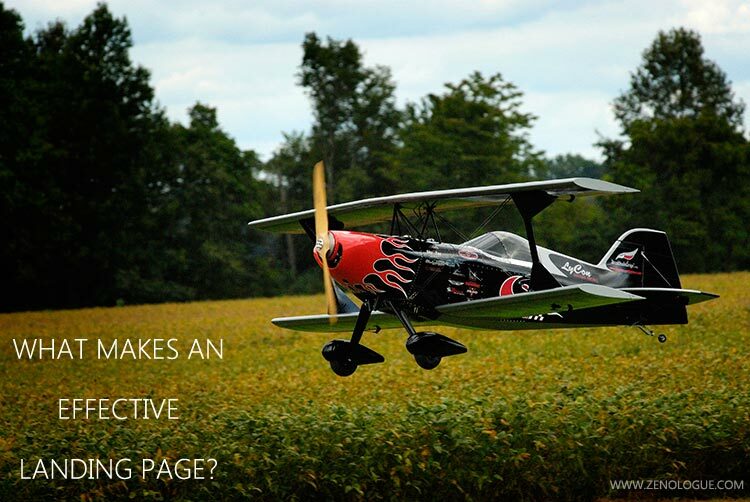 But what makes for an effective landing page? First, an attention-getting headline that also creates interest and makes the reader want to keep reading. Underneath that, you might want to have a sub-title that has a premise with a promise—by that, I mean you need to clearly state what the user will get from completing the final call to action and how it benefits them. This is like a headline, but usually longer and more practical. In the body of the page itself, you’ll need to use compelling and engaging copy that clearly talks about the offer or invitation you’re making in ways the reader can easily understand and that communicates the benefits. You can use bullet points here to make it easier to read and testimonials are great for adding credibility and social proof. Obviously, you also need an easy-to-understand call to action that’s crystal clear and obvious. Try to limit your calls to action to just the one. Once you start to introduce other choices, you run the risk of them getting confused and doing nothing. Finally, be sure to minimize the number of distractions on the page that might send the visitor elsewhere before they complete the call to action. This includes unnecessary site navigation, sidebars, widgets, or unwanted elements in the page footer. Basically, anything that can be clicked on that is not connected with your call to action should be eliminated if at all possible. You Have Photography Facebook Ads—Must You Sell Something? Before I answer that, you need to consider the idea of ROI, or return on investment. In other words, for every dollar you spend on photography Facebook ads, how many dollars will you make as a result? We’re in business as photographers to make money, so it makes sense that anything we spend on ads should provide a return in the form of sales, right? Let’s take a wedding photographer as an example. You could, if you wanted to, create a landing page designed to get people to book with you right there and then. There’s a headline, some great marketing copy, lists of benefits longer than the bride’s train, and a call to action in the form of a booking form, complete with a handy button for them to pay their deposit to reserve their day with you. If you wanted to get really fancy, you could hook all this up to an online calendar and booking system to make sure you don’t get double booked or anything like that. All that nasty and awkward sales stuff is now handled by the website without you having to go through the pain of an in-person booking meeting, and you’re good to go. Well, I’m sure you know it doesn’t quite work like that in the majority of cases, does it? In that instance, the ROI of an ad that sent prospective brides to that page would likely be very low, as you would probably have to send a lot of brides to the page before you got one to make a firm booking. The better alternative is to set up a landing page where interested brides can take a smaller step than actually committing to a firm booking. That could be simply the act of raising their hand by making themselves known to you as an interested bride with a name, email address, and possibly a phone number. In other words, the landing page acts as a lead generator. You still then have to do the work of contacting the potential bride, talking with her, and setting up an in-person booking meeting. If they end up booking with you, then that’s the return on investment for your original ad—clearly, the return doesn’t appear right away, as soon as they click the ad, but may happen much later, so it’s important to track these things so you know how you’re doing. But the chances are good that your ROI for that type of lead-generation is going to be much higher than the first example. So, going back to that last question, “do you have to sell something just because you have an ad?” the answer is no, not all the time. In fact, I would go so far as to say that the most effective ad campaigns are those where you use landing pages designed primarily for lead capture, rather than immediate sales. I hope this has given you some good food for thought, and maybe you’ll rethink your advertising strategy and give photography Facebook ads a go, combined with a solid and carefully-crafted landing page. And, like an archer with a bow, you need to know where you’re aiming the arrow if you want to hit the bull’s-eye! The next time someone tries to tell you that photography Facebook ads are useless, you can safely ignore them and remember that it’s the target of the ad that’s important, not just the advertising platform.